A huge man for the Deadball Era, standing 6'2" and weighing 214 lbs., Orval Overall was a right-handed curveball specialist who compiled a lifetime 108-71 record and 2.23 ERA, the eighth best ERA in major-league history. "Overall pitches his curve with a wide, sweeping overhand swing, releasing the ball over the side of the index finger as his hand turns downward," wrote Johnny Evers in Touching Second. "His swing and curve are duplicates of those used by Adonis Terry, Jim McCormick, and some of the great pitchers of the past, and when his jerk motion at the finish of the wide swing is sharp, the curve actually darts downward." With a reputation as a "money pitcher," Overall pitched on Opening Day each year from 1906 to 1910, and in 1909 he usually pitched the opening game of each regular-season series. He also compiled a 3-1 record and 1.58 ERA in four World Series. Later called the "Big Groundhog" because of his birthday, Orval Overall was born on February 2, 1881, in Farmersville, California, a small agricultural community just outside of Visalia. Located in the San Joaquin Valley, about equidistant from Los Angeles and San Francisco, Visalia was already a thriving community of more than 1,000 inhabitants. Orval's father, Daniel, was a well-to-do businessman who owned the Palace Hotel in addition to a citrus farm, and Orval enjoyed an upper-class upbringing. After pitching and playing first base at Visalia High School, the 19-year-old Overall enrolled at the University of California-Berkeley in the fall of 1900. He excelled in his studies of agricultural science and was elected president of the freshman class. Overall was a star in both football and baseball at Cal. On the gridiron he played guard, fullback, and punter on the varsity, serving as captain as a senior. In his junior and senior years he played integral roles in California's victories over archrival Stanford. In baseball Orval performed the majority of the mound work as a freshman, pitching well but suffering from occasional mental lapses. Perhaps an early indicator of the arm troubles that would plague him in later years, he missed time from pitching due to a sore arm in both his sophomore and junior seasons. During those times Overall played left field, first base, and sometimes even catcher, though he inevitably returned to pitching as the seasons wore on and his arm rounded into shape. In his junior year he entertained an offer to play baseball for a living with the San Francisco club of the Pacific Coast League, but he decided to continue his education instead. To his father's great disappointment, Overall finally did leave the University of California to go professional in early 1904, signing with Tacoma of the Pacific Coast League for a salary of $300 a month, more than many veteran players earned at the time. Orval helped Tacoma win the 1904 pennant by registering a 32-25 record during the lengthy PCL season. Cincinnati scout Fred Hutchinson wanted the former collegian, but first the Reds had to win a bidding war with the Chicago Cubs. Making his major-league debut in Cincinnati on April 16, 1905, Overall took his regular turn in the rotation throughout his rookie year and went 18-23 with a 2.86 ERA, pitching 318 innings and ranking fifth in the National League with 42 appearances. He returned to Cincinnati in 1906 but got off to a poor start, going 4-5 with a 4.26 ERA, and on June 2 the Reds traded him to the Cubs for pitcher Bob Wicker, a 50-game winner over the past three seasons. Modern-day reference books state that the Reds also received $2,000, but all contemporary sources indicate that it was the Cubs who actually received the cash. Either way, many consider it the worst deal in Reds history until 1966, when they traded Frank Robinson to the Baltimore Orioles for Milt Pappas. Having followed Overall's career closely after playing with him in California, Cubs manager Frank Chance knew that the young pitcher's problem was that Cincinnati manager Ned Hanlon had been overworking him. Pitching less frequently in Chicago, Orval responded by going 12-3 with a 1.88 ERA for the remainder of the 1906 season. His breakout season was 1907, when he tied with Christy Mathewson for the NL lead in shutouts (8) and finished second in wins (23), third in winning percentage (.767) and fewest hits per game (6.74), fourth in strikeouts per game (4.73) and base runners per game (9.42), and fifth in ERA (1.68). Overall's strong performance led the Cubs back to the World Series, this time against the Detroit Tigers, and he received the start in Game One against Wild Bill Donovan. Though he ended up with a no-decision in what turned out to be a 3-3 tie, Orval came back in Game Four three days later and beat Donovan, 6-1, putting the Cubs up three games to none on their way to a sweep. Prior to the 1908 season, Orval made a prediction: "I believe the new rule prohibiting a pitcher from soiling a glossy ball will greatly increase the hitting department of the game. You can't curve a glossy ball, and in my judgment there will be more pitchers knocked out of the box the coming season than ever before. Unless I am mistaken the hitting averages will go soaring." Apparently he was the only pitcher negatively impacted by the rule; while the league's ERA fell to its lowest level in history, his rose to 1.92. Overall lost his first game on May 12, snapping a personal 14-game winning streak that he had begun on August 11, 1907. His record fell to 15-11, as he was hampered by arm trouble for much of the regular season, but he did lead the NL in strikeouts per game (6.68) and finished fifth in fewest hits per game (6.60). In the 1908 World Series Overall once again matched up against the Tigers and Donovan, going the distance in Games Two and Five and winning by scores of 6-1 and 2-0. One of the keys to his success in the 1907-08 Series was holding Ty Cobb to a .125 average. In 1909 Overall put together his finest overall season, going 20-11 while leading the National League with career bests in shutouts (9), strikeouts (205), and opponents' batting average (.198). He also finished third in ERA (1.42) and fewest hits per game (6.44), also the best marks of his career in those categories. Despite Overall's banner season, the Cubs failed to reach the World Series for the first time since he joined the team in 1906. They returned to the Fall Classic in 1910, but by that time Orval was suffering from a sore arm, having gone 12-6 with a 2.68 ERA in just 144.2 innings during the regular season. Even though several pitchers were coming off better years, Overall's reputation and past performance in the World Series led Chance to give him the start in Game One. He was ineffective, allowing six hits and three runs in three innings. 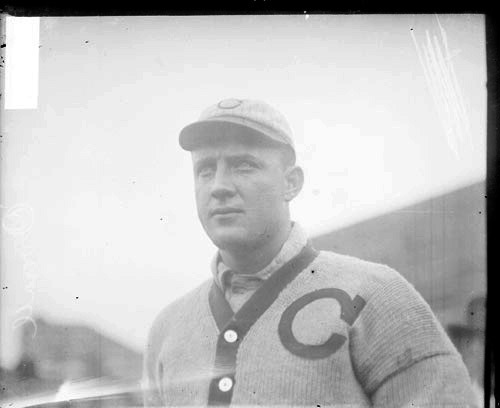 Overall claimed that his arm was better after visiting Bonesetter Reese during the off-season, but a contract dispute with Cubs owner Charles Murphy prevented him from testing it against major-league competition. Remaining in California to work in a gold mine that he owned with teammate Mordecai Brown, Orval stayed in shape by playing semipro baseball, and while pitching for Stockton late in 1911 he felt something go in his arm. He believed that his arm would never be the same, but it did heal sufficiently over the next year to attempt a comeback in 1913. Returning to the Cubs, Overall went 4-5 with a 3.31 ERA, giving up more than a hit an inning for the first time in his career. After a short stint with San Francisco in the PCL, he decided to retire from professional baseball at age 32. Overall took a job with the Maier Brewery Company, but the following year his father became ill and he took control of the family's citrus farm. In 1918 he ran for Congress but failed to gain election. After his father died in 1921, Orval sold off the estate's numerous holdings, making him a wealthy man. He became an appraiser and a director of the First National Bank of Visalia, which later merged into the Security-First National Bank of Los Angeles. Overall continued to hold prominent positions, eventually rising to vice-president of the bank and manager of the Fresno branch. In 1936 he was elected a director of the California State Automobile Association. Orval enjoyed golf and hunting. He died of a heart attack at age 66 on July 14, 1947, in Fresno, California.